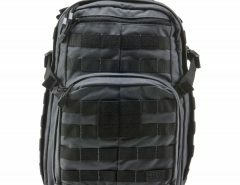 I was searching for a great day pack that I could use, every day around town or something that could be used as a carry on whenever I was flying but I also wanted it to be my survival backpack. The 5.11 tactical brand has been growing pretty fast and I read some good reviews, so I decided to buy one and see how well it would do on my most recent trip. The 22L day pack is great. It is very popular, and has plenty of attachments and pockets for your daily carrying needs. It is practical and tactical. In terms of the difference between the different packs from 511, check out this video. 1 Is it good quality? Even though it says “Made In China”, it doesn’t mean that its build is crappy. The truth is, it was very well stitched together, and the materials that were used were a lot better than my normal camping bags. It seems to be pretty tough and it has a waterproof coating. There are over 16 different pockets on this backpack, as well as slots and compartments. 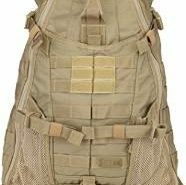 The only issue that I found so far is the fact that once it gets full, it is really heavy, which is to be expected, but it is great for a day pack. I have managed to put my laptop, iPod, extra headphones, etc. in my backpack and I have no worries about if I will be able to get them out without a lot of hassle. The one thing that I loved beyond a doubt was the fleece lined pocket for glasses. I wear expensive shades, so I have to protect them. The sternum strap is great to help add in the stability you need with a full pack. This is great for those who travel, I myself have managed to not have this bag checked, and it fits just right in the overhead compartments. I now use this backpack to carry a ton of college textbooks, a laptop and plenty of snacks for college. Let’s talk about pro’s and con’s. 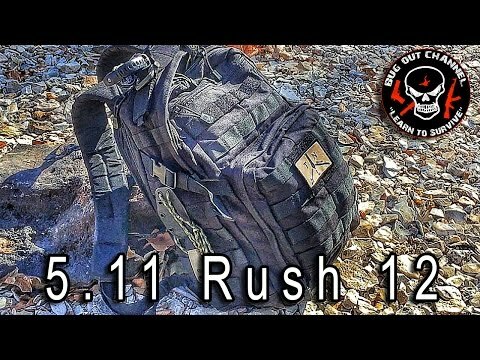 Overall the RUSH 12 backpack is great. It is sleek, water resistant, cheaper than expected and much more. You will certainly get the quality that you want for its price. Don’t get me wrong, I never wanted to spend a lot on a backpack, but this model has a variety of uses that are certainly worth every penny that was spent on it. 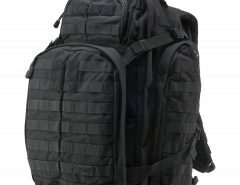 Another popular survival backpack you may be interested in is the TRIAB 18 survival backpack. 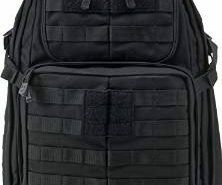 Both are made by 5.11 tactical and I have coupons for them here so that you can save some cash.